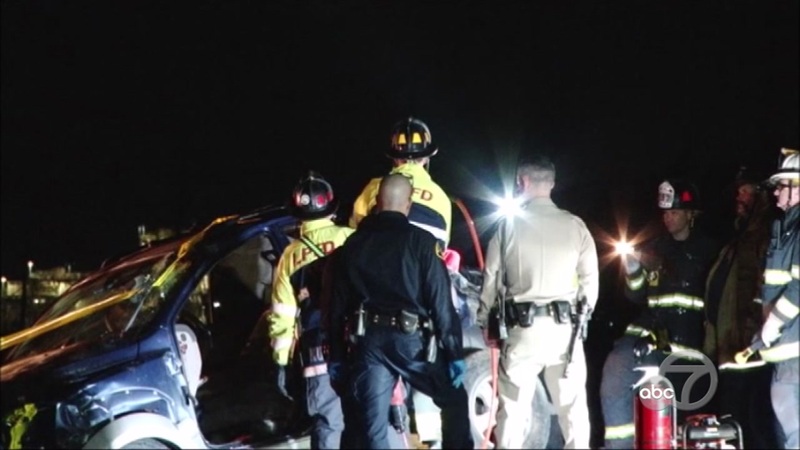 UNINCORPORATED ALAMEDA COUNTY, Calif. -- The CHP is investigating a deadly crash that left at least one woman dead in unincorporated Alameda County. It happened around 11:45 last night on Stanley Boulevard near Highway 84 near Livermore. A total of five people were inside the car when the driver lost control. A second woman is in critical condition. The injuries of the other three passengers are unknown.